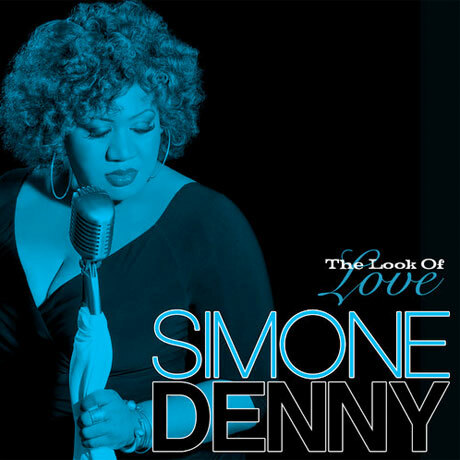 Shifting away from dance music to old-school soul, former LOVE Inc. singer Simone Denny is once again teasing her upcoming solo debut The Stereo Dynamite Sessions, Vol. 1 with a simmering redo of '80s new wavers ABC's "The Look of Love." The synth-pop angle of the original has been toned down to instead showcase Denny's crushed-velvet vocals atop a rootsy acoustic strum, low-key six-string slides and romantic, string-replicating keyboard sounds. A lightly clacked snare and rumbling timpani fill the track with some rhythms by song's end, but never manage to overpower Denny's passionate performance. The Stereo Dynamite Sessions, Vol. 1, which also comes at the hands of producer Adam (Doom) Sewell, is expected to arrive sometime this spring through Stereo Dynamite Recordings/Universal Records Canada, and is said to take a "a darker, more organic, stripped-down" direction favouring traditional R&B flavours over Denny's previous clubby work. "I grew up singing along to old soul and rock'n'roll records with my parents around the house. That's how I learned to sing," Denny said in a statement. "Now, finally having the opportunity to create an album that reminds me of that wonderful time in my life, is something truly special to me." For now, though, stream the Valentine's Day-appropriate "The Look of Love" below and check out the previously premiered "Your Love Fades Away" here.